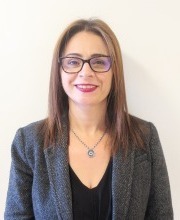 IN THE midst of the controversy over the Nation-State Law and the demotion of Arabic from official language status, Prof. Mona Khoury-Kassabri has been appointed dean of the Hebrew University of Jerusalem’s School of Social Work. She is the first Arab woman to be appointed dean at the Hebrew University, and may well be the only Arab woman to serve as dean at any university in Israel. A Christian Arab, Khoury-Kassabri has made history in more ways than one. Not only is she the first female Arab dean at the university, but she was born to illiterate parents and raised in one of the poorest crimeand drug-infested neighborhoods in Haifa. Not every youngster there was a juvenile delinquent, and she wasn’t, either. More than that, she was born with ambition, a factor that took her beyond high school to an academic education and career, which together with other Arab women who have succeeded in academia, albeit not quite to the same extent, makes her a role model for other young Arab women who are striving to realize their potential and are aiming for new horizons.